Introduced in February 1986, the F31 series was a 2nd generation Leopard, a full model change from the previous F30. Sharing the basic engineering as the same generation R31 Skyline, it was available in 3 different engines (VG30DE, VG20ET, VG20E) and 5 different grades. 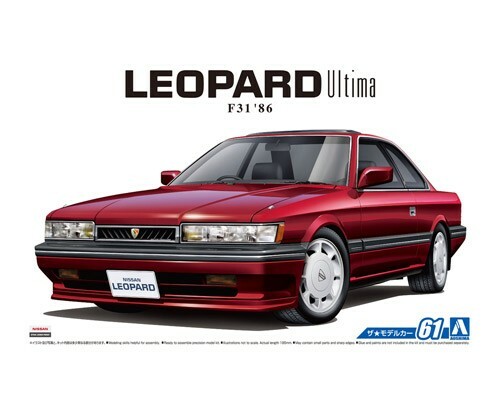 Of the grades, Ultima was equipped with advanced systems such as auto light, electronic power steering, 4WAS, super sonic suspension, making it distinct from other Leopard grades. 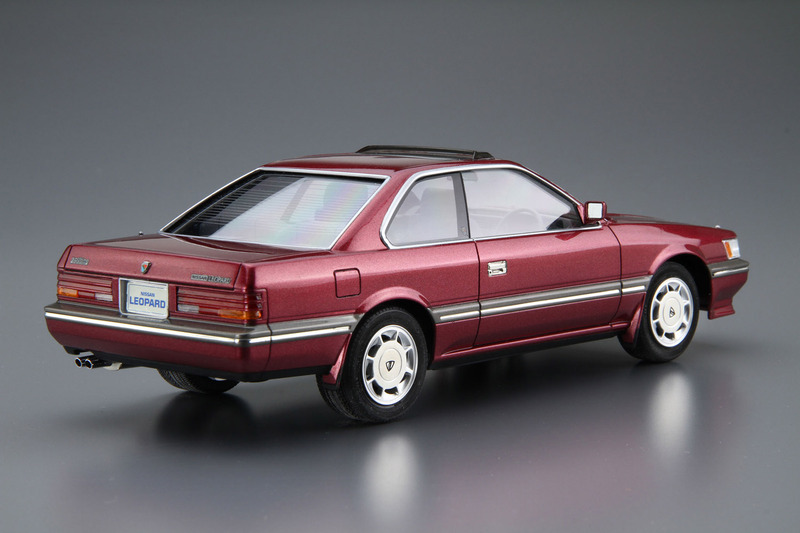 This kit replicates the F31 Leopard Ultima in its catalog specification. The kit includes the signature front-lip spoiler, BBS aluminum wheels, sunroof, low-down parts and traffic cones. 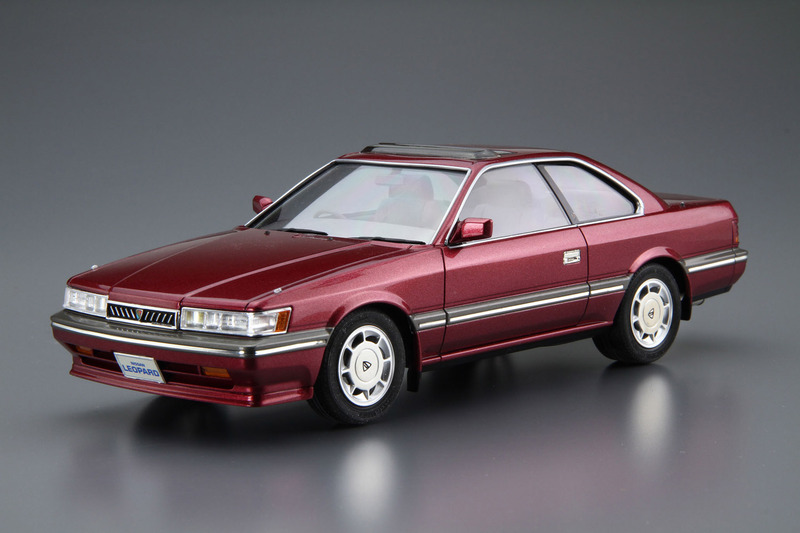 With the parts, you will be able to assemble the F31 Leopard of your preference.